This concert is the showcase concert of the year for our program. It features both solo performances of students who are celebrating completion of a book level, and group performances from the ensembles. 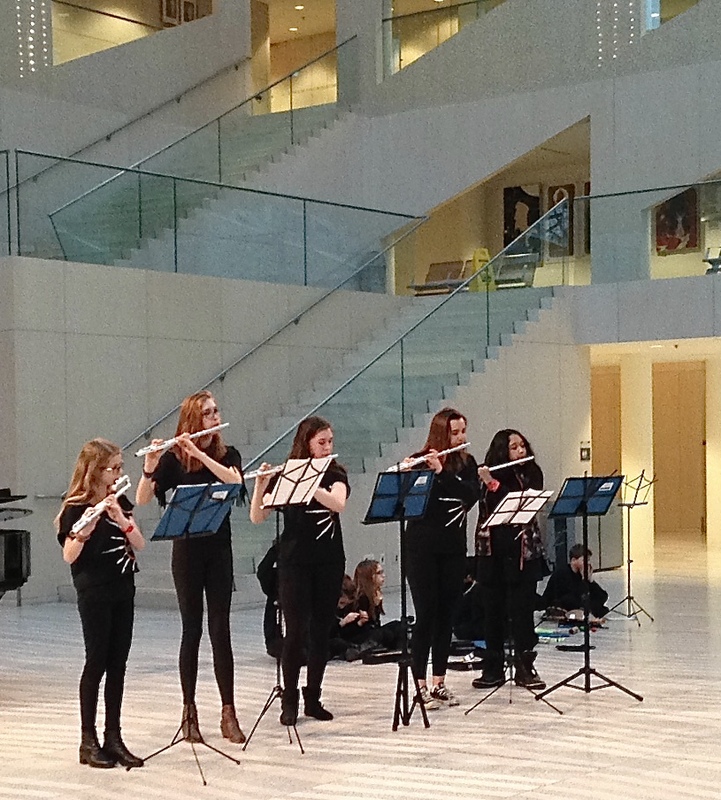 Concert starts at 6:30 pm – students should arrive by 6:00 pm for set up and tuning. Admission is free! Bring a friend! 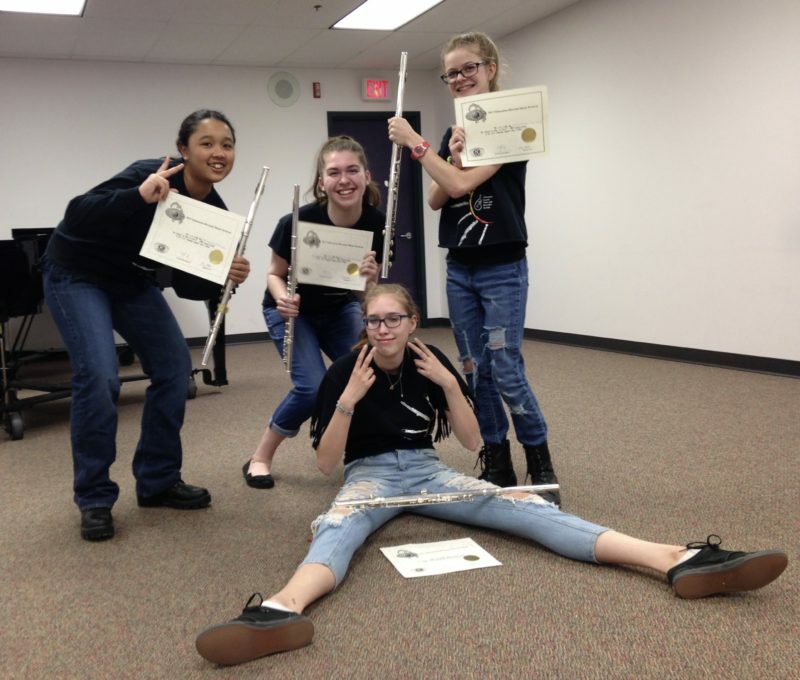 Groups & Grads 2016 – check out the bass recorder and bass flute! Click here for more information about the ESFRS book level graduation program. At the end of November, our students perform duets, trios, quartets, and other ensemble music that they learn in their group lessons. The group lessons are an important community building part of our program, and it is in the group lessons where the students learn the skills that will keep them able to play music with their friends throughout their adult lives. We welcome families who are interested in having lessons with their children. Come to the concert and see what we do! Registration in our program is open year-round. Click here for registration information. In 2013 and 2014, the concert was in the Expressionz Cafe. There were many favourable comments about the coffeehouse setting. Many parents enjoyed being able to sit back with a latte while enjoying the concert. Unfortunately, Expressionz had to close, so in November 2015 we found a new venue. Thank you Expressionz, for hosting us! The first group event of the year is our opening play-in to start the fall term of group classes. All the students gather at the same time to play their known repertoire together. This is an opportunity for the youngest and the oldest students to play together and learn from each other in a multi-level group. The beginner class, which we call the “Toolbox” class, includes students who have just begun their lessons. 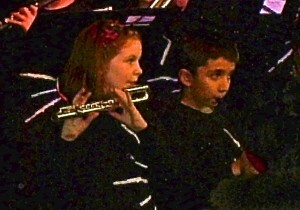 Often they will be working on fundamental skills away from the instrument. 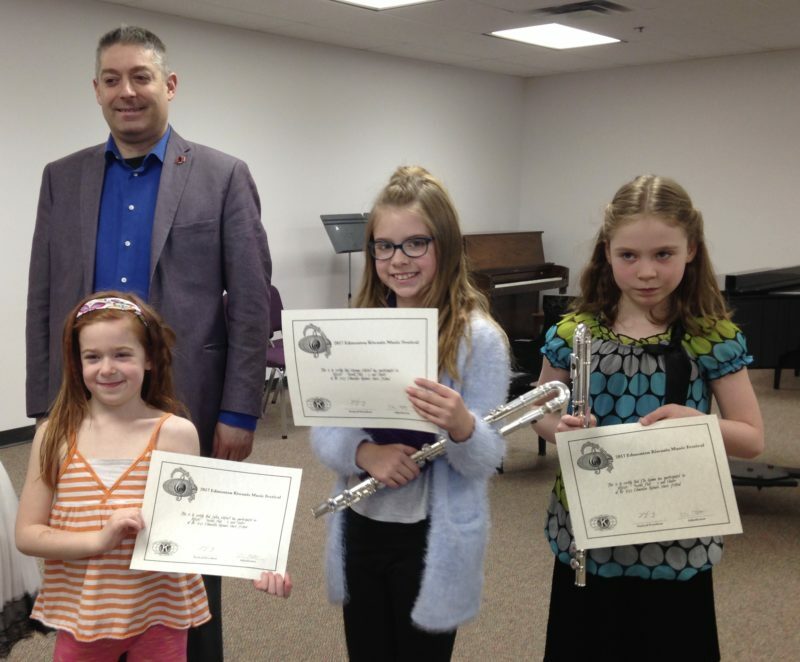 Since having the instrument is not a requirement to participate in the beginner class, we open it up to any parents with children who would like to try a class to see what it is like.